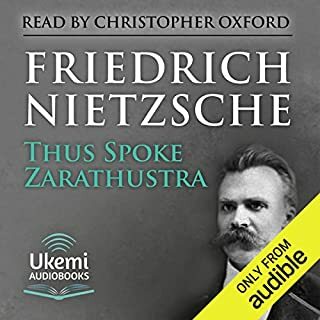 It was with Human, All Too Human, first published in 1878, that Nietzsche developed the aphoristic style that so suited his challenging views and uncompromising style. The text is divided into three main sections: 'Of the First and Last Things', 'History of the Moral Feelings' and 'The Religious Life'. But the style remains the same: he declares the subjects - dream and civilisation; private ethics and world ethics; gratitude and revenge; well-wishing; vanity - and then discusses them in a few sentences or sometimes in a longer passage. This style enables him to cover an extraordinarily wide range of topics as his fertile and lively mind wander over man in his element. 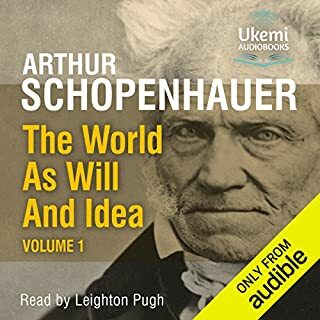 This audiobook also contains the two parts of volume II: 'Miscellaneous Maxims' and 'The Wanderer and His Shadow'. 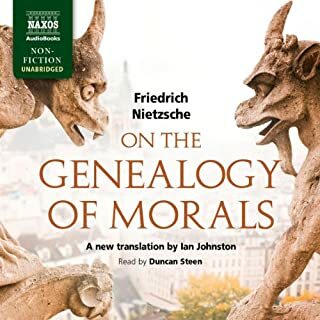 These two collections are less well known - unjustly so, as they are packed with Nietzsche's wonderfully uncompromising views and observation on a lucky dip of topics including debauchery, bach, danger in admiration, deception in love and dishonest praise. 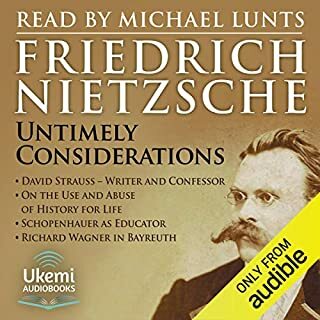 All in all, this 15-hour collection in an appropriately conversational reading by Michael Lunts is a fascinating, at times infuriating yet always entertaining discovery. Would you listen to Human, All Too Human again? Why? Definitely. 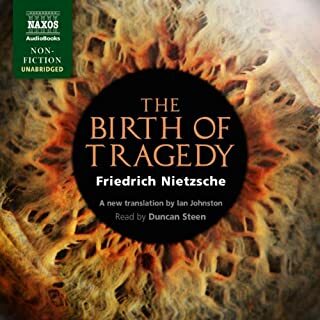 This is a the easiest way for me to digest Nietzsche. Reading his writings I get too distracted, but I've found that listening allows me better absorption. I actually played this entire book on 2x speed. It requires a slight increase in listening effort, but the challenge keeps you from drifting off. This isn't the devastating Christian critique of The Antichrist, nor the ground breaking dismissal of ethics with Beyond Good and Evil, but a manifesto for free life. It contains several sections, moving from moral critiques to Christianity. In short, this is a deconstruction of morals and virtue, revealing the false restrictions they impose. The content is unique from his other writings, although the themes are the same. 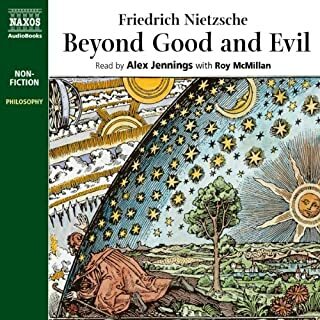 There are no proprietary Nietzsche here to learn, but plenty of things to think about, including: the dangers of compassion, what creates the mindset of justice, the bias of religious virtue, and more. More aphorism than consistent narrative, this book is easier to hop in and out of. Where as in his other works, if you miss something early on you might be missing a crucial ingredient for later. What does Michael Lunts bring to the story that you wouldn’t experience if you just read the book? 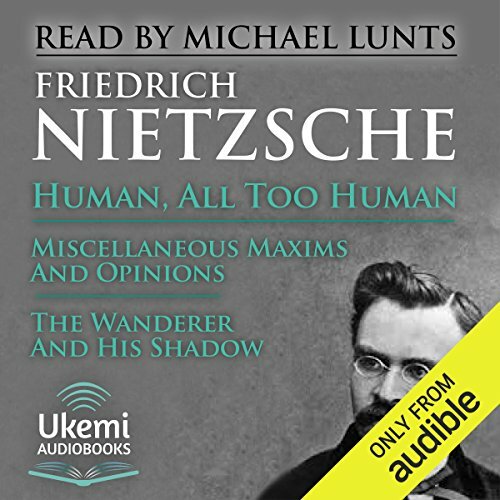 Solid reader; his voice was a comfortable fill in for whatever Nietzsche might actually sound like. Feelings of my power growing. This book gripped me to the core. Its aphorisms are read by a man whose honeyvoice darlings. some maxims are only relevant to the 19th century reader. sometimes ideas provoked my thoughts for hours, sometimes I simply didn't understand the point. It could have made the five star listing had it not been published. What was most disappointing about Friedrich Nietzsche’s story? This man is truly a mad man and I mean in every since of the word. I have not heard of him before and I hope I never hear of him again. He has one or two seemingly well placed thoughts then he sinks his own ship with his own thoughts. He is totally insane who ever he is and should have never been published in my miscellaneous maxim and opinion. So terrible I only made it half way through the book before I could stomach no more. What about Michael Lunts’s performance did you like? The reader Michael Lunts was very good his voice was fluent, well paced and always on point with interest. Excellent reading, timing and fluent with the words and subject matter. If you could play editor, what scene or scenes would you have cut from Human, All Too Human? Will not go there as this is an entire book of garbage. I am sure there are some of the fringes that might like it but but I am not on the edge of he cliff as of this day and I will not be swayed by this mad man.